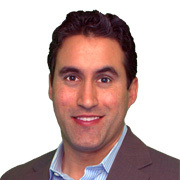 2019 March home sales in Santa Clara consisted of 56 single family homes that closed escrow, an increase from the 39 homes sold in February. Average days on market held steady at 22 days, and median days increased to 12 from 11. The average price of a home sold in March 2019 was $1.42M which is about $50K higher than last month’s figure of $1.37M and $130k higher than the previous month at $1.29M. The Median price home sold was $1.37M, which is the same as February’s median price. Average cost per square foot decreased from $940 per sqft. to $924. Of the 56 homes sold in March, 35 sold over asking. On average 3.2% over asking compared to 3.4% over asking in the previous month. The housing market has picked up in the last few months. We are seeing more and more offers and more bidding occurring. Inventory levels have stayed pretty consistent for the last two months, even dropping below the 50 homes mark in late January. This indicates that buyers have been able to absorb new listings coming on the market, and prices have already increased beyond the 4th quarter of 2018. Much of this I attribute to the surprise policy shift by the FED that resulted in a .5% rate drop. As we are moving more into the Spring market inventory has finally increased. We are currently over 50 single family homes for sale in Santa Clara, seasonally this number should increase and the market should simmer down with more inventory. In the meantime, buyers expect multiple offers and bidding on hot listings. Sellers make sure to price your homes accurately and they will sell. February 2019 home sales CLICK HERE. January 2019 home sales CLICK HERE. You may have heard the term comparative market analysis. You may have also been the target of emails, ads, or mailers that promise to do a free comparative market analysis to find the value of your home. So, what is it? Does it really tell you what your home is worth? 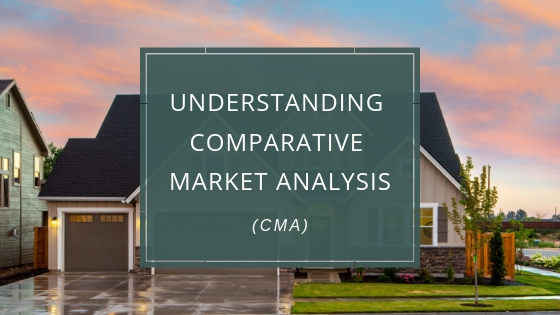 A Comparative Market Analysis (CMA) is the process of comparing one item to other items of similar shape, size, make, and value, to calculate that item’s cost. In real estate, you or your realtor will do a CMA on your home when you list it for sale by comparing similar current, expired, and sold listings in the area, to price your home effectively. While we would all love to price our house at what we think it should sell for, a CMA is important to understand how your home stands up to recently sold homes in the area. Like an appraisal, a CMA helps to place a value on your home based on the value others have put on the homes in your area. While an appraisal can be an accurate tool to find the value, the methodology and rules that appraisers follow may result in values that are lower or higher than your home’s actual value. Appraisers generally are shooting to reach a specific value like a sale’s price or for a refinance, they are not looking at the home in terms of its marketability and from the eyes of potential buyers. Appraisers are using comps, but will just compare them based on size, bedrooms, bathrooms, and make slight adjustments for location and condition. From my experience, going off an appraisal to sell your home would either result in pricing your home too low or too high. A comparative market analysis by a real estate agent specializing in your area should be a much better predictor of value. Are Zillow or Online Valuations a CMA? There are a number of online tools that offer automated valuations. These tools are getting better and better at accessing values, but can’t and probably will never replace a CMA done by a local real estate professional. These automated tools can’t compensate for your home’s condition, its layout, the location, and other factors that you can’t account for unless you see the home and know the area. Although they are fun to see and easy to obtain, I would not rely solely on these online valuation tools. If achieving an accurate value is important, then make sure you get the opinion of a professional. Check out the communities in the area of the homes you are comparing. Are the houses in that neighborhood similar in quality, age, and characteristics. The quality of the neighboring dwellings really goes far in adding or taking away value from your property. Also, schools and schools districts should be the same or similar in terms of desirability. Santa Clara has such a diverse offering of housing right next to one another. Understanding the different tracts and neighborhoods is important to reaching an accurate valuation. You’ll want to look at comparables that are as close to your home as possible, these will serve as more accurate comparisons than homes in different parts of the city. In Santa Clara, the western zone or 95051 is generally more preferable to the eastern zone due to commutes and proximity to jobs in the peninsula. Take a look at the square footage of similar homes in your area. You want them within 10% of your home’s size. The price per square foot declines as the house gets more substantial, so make sure to compare homes that are most similar to your square footage. Also, the number of bedrooms and baths can make a big difference. The market for 3 bedroom homes versus 2 bedroom homes, or homes with only 1 bath compared to 2 baths is so significant I would never suggest using those homes as comparables. The condition of a home can make up a significant difference in price and value. 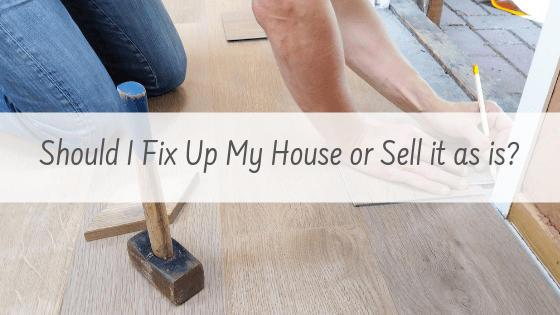 Homes that have been completely renovated, versus outdated fixer uppers, attract different buyers and different price points. Even intangible or hard to quantify features such as open floor plans, or rooms sizes can have a big effect over the desirability of a home, and the resulting sale price. 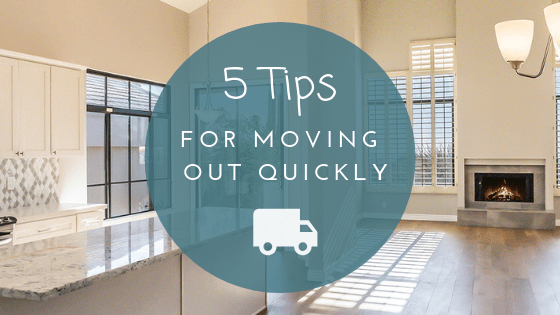 You will want to pick home sales around the same time, within 3-4 months if possible. The market in Santa Clara or the general area can appreciate or depreciate rapidly, so understanding the relationship of where the market is now relative to the comparisons is important. Knowing the seasonal adjustments in the market and where the market is heading can also help in setting the right expectations in price. After you’ve gathered all the data from neighboring houses, it’s time to crunch the numbers. Figure out the average pricing and adjust the value up or down based on the desirability of certain amenities in your market. While completing a Comparative Market Analysis is undoubtedly worth the time it takes to do it, it may be one of those things you want to leave up to a real estate professional who specializes in your area. 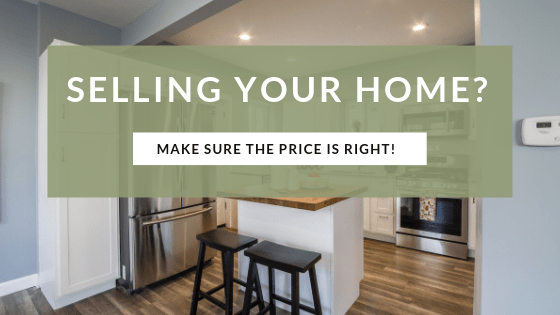 Whether you decide to do it on your own or call in some help, having a well researched comparative market analysis before listing your home will save you a LOT of headaches and could even help you bring in a lot more money.